• Thursday, March 26, 2015 at 7pm at the West Lafayette Public Library: this meeting will serve as an introduction to the rezone proposal. • Wednesday, April 1, 2015, following the Executive Committee meeting at 4:30 pm, in the Tippecanoe Room of the Tippecanoe County Office Building, 20 N. Third Street, Lafayette: Staff will present the proposed zoning map to the Ordinance Committee of the Area Plan Commission in a public hearing format. 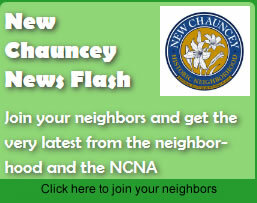 On behalf of the Area Plan Commission of Tippecanoe County and the New Chauncey Neighborhood Steering Committee, we are pleased to present a new zoning proposal based on the adopted 2013 New Chauncey Neighborhood Plan. A copy of both the existing zoning and the proposed zoning for the neighborhood is enclosed. 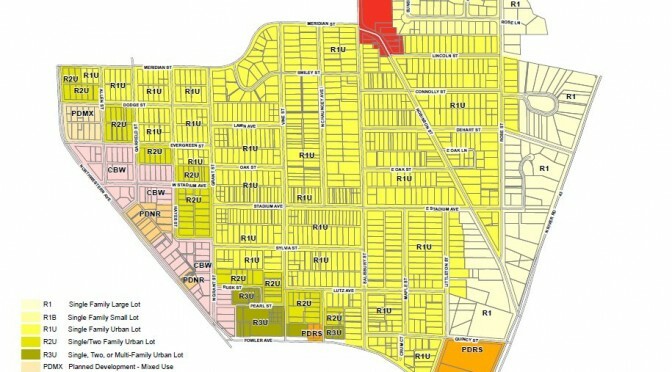 This first of two steps in achieving the future land use vision recommended by the Plan would bring the neighborhood, utilizing existing zoning districts available in the Unified Zoning Ordinance, into closer conformity with the neighborhood land use plan. If this first step is adopted by the West Lafayette City Council, step 2 will follow creating “form-based” zoning applied as an “overlay” on the zoning map adopted in step 1. Step 2 will bring the neighborhood into complete conformance with the adopted land use plan. More details on this second step will follow later as this zoning process unfolds. Additional Ordinance Committee meetings may be necessary and if so, meeting times will be decided at the end of the April 1st meeting. If you are unable to attend either meeting, please contact the APC office for information regarding future meetings. You may also send written comments to the APC office or via email to apc@tippecanoe.in.gov. The Ordinance Committee members will review the proposed map, take public comment, work out any necessary compromises, and then send a zoning proposal for the neighborhood to the full Area Plan Commission at a public hearing. APC’s vote at that hearing will serve as a recommendation to the West Lafayette City Council, which ultimately decides zoning issues. If you have any questions, please do not hesitate to contact us.